Wolf Construction was Incorporated in 1999. Since then we have framed over 300 houses, and completed hundreds of projects from decks, and fences to additions and whole home renovations. Russell and Russell Design Studios create unique and dynamic designs that respond to and respect their environment and inhabitants. 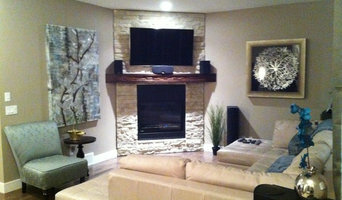 New Century Design is a boutique, residential design firm with a focus on the clients 'real' needs. Considered a small builder by today's standards, BOWOOD has earned a reputation for quality design and construction, attention to detail and excellent client relationships. Architecture + Design 34 is a professional design and consulting firm that is centrally located in downtown Red Deer, Alberta. Our company was founded by Daren Blair, who is a Registered Architect and creative design professional. 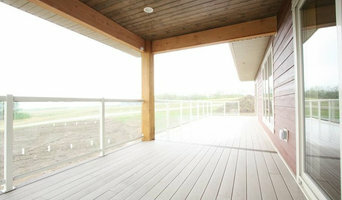 We offer a range of architecture, design, consulting and project management services through Alberta. 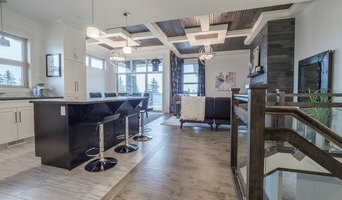 We strive towards leadership and innovation in the design and construction industry by offering our expertise in custom residential design, multi-dwelling building design, unique commercial design and renovation work, and through our involvement with mixed-use building types. Our office is setup as an open studio environment shared with other creative professionals, and we believe this setting encourages creative, collaborative and engaging opportunities for open dialogue between the people we work with. At our firm, we maintain an intense curiosity and passion for learning. We attend many professional development sessions and courses to ensure we are knowledgeable about the latest design trends and technology. We believe good Architecture and Design reveals stories about who we are, what we stand for, and our hope for the continued success of future generations. 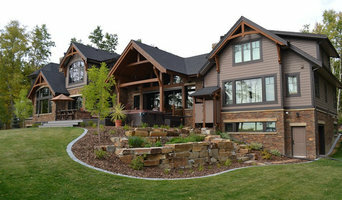 HM Drafting & Design Ltd.
HM Drafting & Design provides custom home designs based out of Rocky Mountain House, AB. 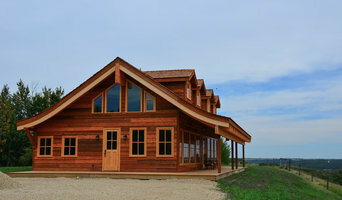 We specialize in new home construction plans and timber frame design, as well as log cabins and renovation projects. With a "Responsible Design" mindset, HM Drafting puts focus on designing sustainable homes that work for both the home owner and the environment. We pride ourselves on cost-effective design solutions from small cabins to mountain dream homes. On time, on budget; we put our customers first.